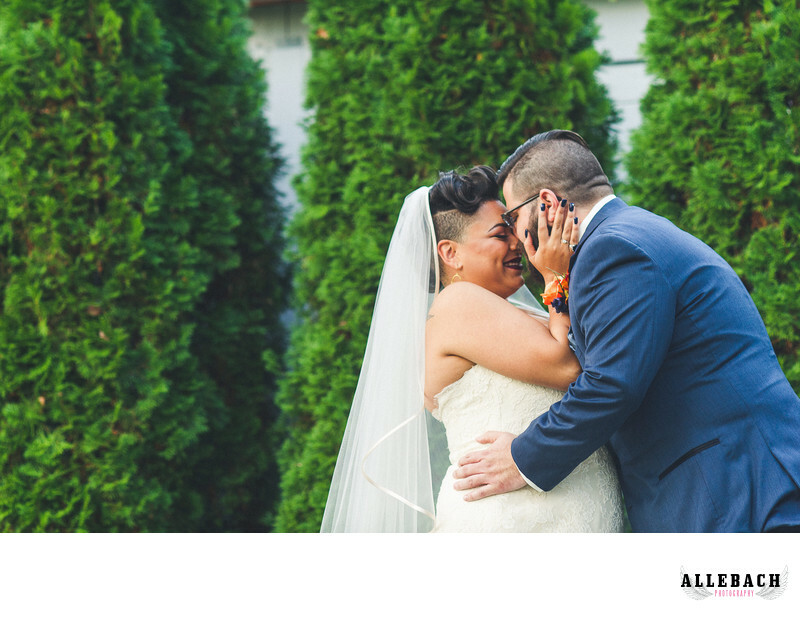 Check out this adorable first look in front of the trees at the hamilton manor in Hamilton New Jersey. This wedding venue features many places for perfect photos. We travel to Hamilton Manor for Free! Contact us today at 610.539.6920.